When Bart Mckellar turned 35 he realized that he was unhappy with the direction that his health was headed. He had a desk job and he admits to over-consuming on the wrong kinds of food and alcohol. He knew he had to change something and he truly wanted to. One of the biggest motivating factors for him to change was his two kids that are involved in all kinds of activities like rugby and volleyball, he wanted to be the dad that could keep up with them and do fun things, not just sit in the corner and watch. One of the first things he did February 2014 was stop drinking alcohol, he spent seven months learning as much as he could about how to eat good foods and fitness. He joined a gym and he also joined the online community called Body Space, which is part of www.boybuilding.com. Bart says it is a great place to connect with other like minded people to get motivation, inspiration, recipes, fitness advice and you can even track your results by creating your own profile. It is a free space for anyone to join and I think it’s a wonderful tool for people to check out! 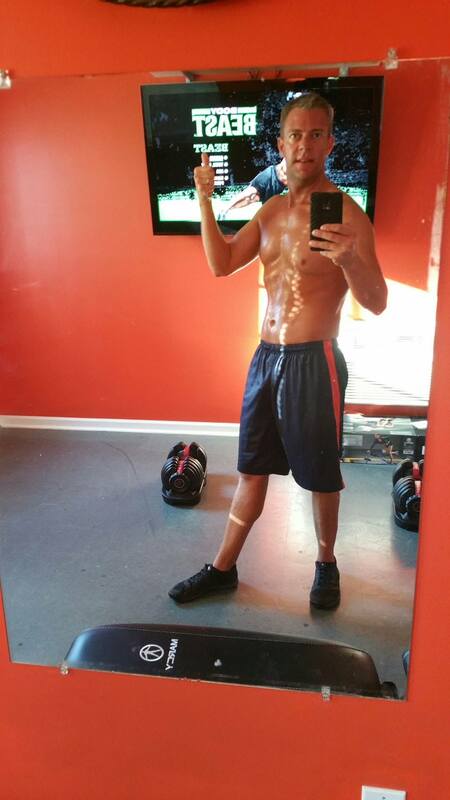 Bart went from 210 pounds down to 153 and started feeling and looking pretty amazing! Bart started with the Beach Body’s Beast Program for working out. This program focuses on a different workout everyday, working different areas of your body through resistance training and definitely gets your heart rate up! He was getting the best of both worlds by building muscle and burning fat. He also enjoys taking spinning classes at his gym a few times a week to work on cardiovascular fitness and a killer leg work out! Right now Bart has been working on his strength gains and has managed to up his weight into the 170’s by adding on some healthy muscle to his frame through lifting heavy weights consistently and eating the right kinds of foods to meet his needs. 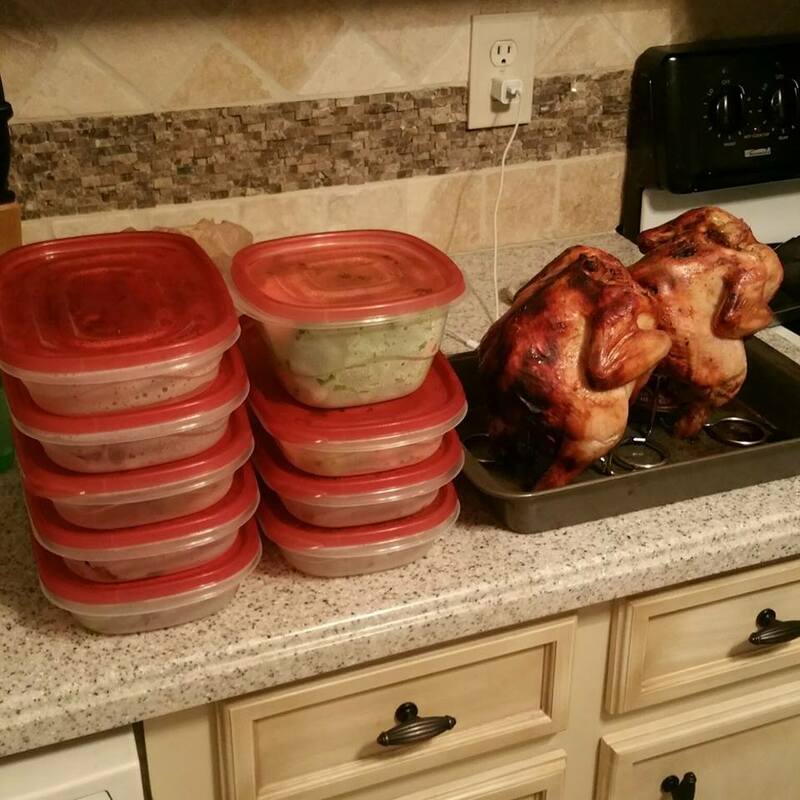 As far as nutrition goes Bart does meal prep on Sunday’s to get him set up with 12-15 meals for the week. He eats 6 times a day and says he finds that this is the easiest for him. He typically eats 3 solid meals, 2 shakes and a snack. So how does Bart manage to make all of this happen while raising a family and working a full time job? He has made living healthy a part of his life in a few ways. First, he knows that his days are long, he works during the week from 7am-5pm so he gets up at 4:00 am to hit the gym so he can be to work by 7am. As mentioned earlier he preps his food on Sunday’s so that chore is done and he can just eat the food (the fun part)! He became a Beach Body coach, which allows him to help others on the path to their own health and wellness. The biggest thing is that Bart is consistent in these areas, and has made a positive change that will allow him to be there for his kids and his wife, he has no doubt added quality years to his life! So what’s next for Bart? He has a passion for helping others and he knows how to make a lifestyle change the right way through health and nutrition so maybe personal training or health coaching could be really fun for him? You never know! Next A New Year :: No Excuses in 2016!